Dr. Bingbing Song graduated from the China Medical University Shenyang and completed her residency program at the Loma Linda University. She is specialized in Pathology and board certified in Anatomic Pathology and Clinical Pathology. 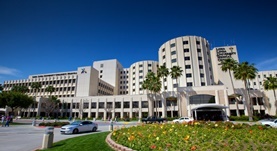 Dr. Song has been in practice for more than 20 years and is affiliated with the Loma Linda University Children's Hospital. During her career, she has also contributed to three publications of medical interest. Dr. Bingbing Song has contributed to 3 publications. Coexistence of intestinal Kaposi sarcoma and plasmablastic lymphoma in an HIV/AIDS patient: case report and review of the literature. Wang, B.,Song, B.,Oster, C.,Cao, J.,Raza, A.,Wang, J.; J Gastrointest Oncol. 2016 Apr 02. Wanner, I. B.,Anderson, M. A.,Song, B.,Levine, J.,Fernandez, A.,Gray-Thompson, Z.,Ao, Y.,Sofroniew, M. V.; J. Neurosci.. 2013 Jul 31. Sustained local delivery of bioactive nerve growth factor in the central nervous system via tunable diblock copolypeptide hydrogel depots. Song, B., Song, J., Zhang, S., Anderson, M. A., Ao, Y., Yang, C. Y., Deming, T. J., Sofroniew, M. V.; Biomaterials. 2012 Dec.